There are plenty of reasons why western home décor has enjoyed a popularity surge in recent years. Part of it is due to more exposure in decorating magazines as well as the design and decorating shows on TV. But, more than anything, the growing popularity has to do with the wide appeal of this style’s furnishings and decorations. You can find many different ways to use western home décor in your home, whether you use a few pieces here and there or go all out with the western theme. Either way, using western touches can help your home look warm and welcoming. A great benefit of the increased popularity is that the variety and availability of décor items has also increased. What should you expect to see when looking for western home décor? You’ll be glad to know that most of our pages have pictures that provide great examples for that page’s main topic. It’s easy to integrate western home décor into any room in your home, because you can get anything you want in a western design or style. 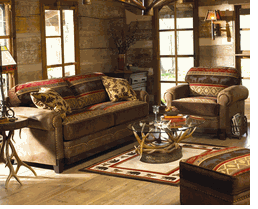 Here are two good examples of living rooms with western style furniture and room décor. Home decorating styles in Horse, Cowboy and Western Decor themes for your kitchen, bedroom, dining or living room areas. Some people mistakenly believe that western home décor means that it has wildlife or farm animals plastered all over it. No need to fret - if your idea of décor revolves around items that don't depict animals, then you can find an abundance of things that fit that desire for your western home décor. 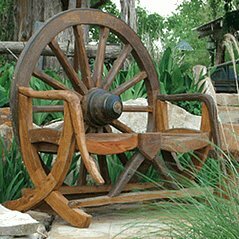 Wood furniture, warm colors, items inspired by nature, as well as Native American prints and pottery are just a few of the things that can add that warm, western touch without any animals coming into play. And, if you do want furnishings and accessories that portray wildlife or farm animals, you’ll certainly have plenty of décor items to choose from. Adding a touch of western décor to your home can be done via many different colors and color combinations. From deep dark reds and hearty browns to the more subtle tans and creams to the bright oranges and yellows, you’ll be able to find something that matches or complements the other elements of your room. Often, the details on the western items are what set them apart from other furnishings or accessories. Western home décor is a distinct decorating style, but it’s just one of several styles that share some common elements and overlap each other. The related decorating styles include southwestern, lodge, rustic, cowboy, and country. One of the nice things about these decorating styles is that they’re comfortable and casual. So, if you’re looking for a way to make your home feel warm and inviting, adding some touches of western home décor, or a related style, is a great way to do just that. We’ll look at each of those decorating styles on this website, but the emphasis will be on the western and rustic styles. Whether you want to decorate an entire home or just add a few pieces here and there, you're sure to find plenty of things to love in western style décor. Best of all, you’ll have lots of choices at prices to fit almost any budget. No matter what type of decor you have, you can find just the right spot for Modern Clocks somewhere in almost every room of your home. A bathroom remodel can be a great way to add to your home's value. For that added visual appeal, antique cast iron tubs can create a beautiful focal point to an updated bathroom. You can instantly create an improved sense of style, and elegance to any bathing space, while improving your home value at the same time..
Want to decorate your home with fresh flowers? Floworld Online guides you through choosing the best flora for your home. British Made and manufactured kitchen islands for industry and retail exporting across the globe. Need a moving service? adamsmovingservice.com/seattle-movers... they can help anybody move in the western area of Washington state. : Have you been in Poland. Have you been thinking about dating women from Poland? Do it right now - visit PolishGirl4U.com. The place for dating polish females. Need a bristol based locksmith ? We recommend Kirk for top-notch service. The Plumbing Shop based in the UK offers a fantastic range of Plumbing Supplies from copper pipes, to solder, compression fittings and professional plumbing tools. Plumbing Jobs around the home has never been easier at the plumbing shop. No matter what type of home you have, there are things that need to be taken care of, such as plumbing. For people in the Toronto area, we recommend that you contact Anta Plumbing Toronto for anything related to plumbing. Southwestern décor has the unique advantage of being warm and comfortable, as well as chic. 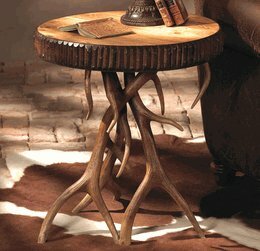 Western furniture has a great look and feel, as well as down-home simplicity and charm. 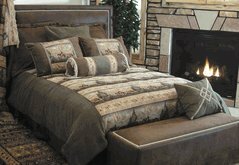 Western bedding goes beyond cozy and comfy by adding visual interest as well as enhancing the ambiance of your bedroom. Every room provides an opportunity that lets you express your interests and these bathroom decor ideas will help you do just that in your bathroom. See great examples of how Western lighting combines the usefulness of a light source with the appeal of western or rustic decorating. Rustic dining room furniture is just right for your dining area if you like the western, rustic, country, or lodge styles of decorating. Some western decorations have a practical purpose, while other items are simply for show or to help set the mood. Artwork, such as wildlife drawings or paintings, is more than a great decorating idea – it makes a statement and helps set the mood of your room. An overlooked area of home decorating is hardware - Yes, hardware; and we have plenty of pictures to show why rustic cabinet hardware is our favorite kind. The “about us” page gives you a chance to meet your hosts and get to know them a little bit better. Page after page of original articles about the western and rustic styles of home decorating and the furnishings that bring it to life. The Western Home Decor Blog keeps you up-to-date with the information and changes at the western-home-decor.net website. Our site map will help you find tons of information related to the western and rustic styles of decor, furnishings, and accessories.